Notes: The covers come without breather or PCV holes. 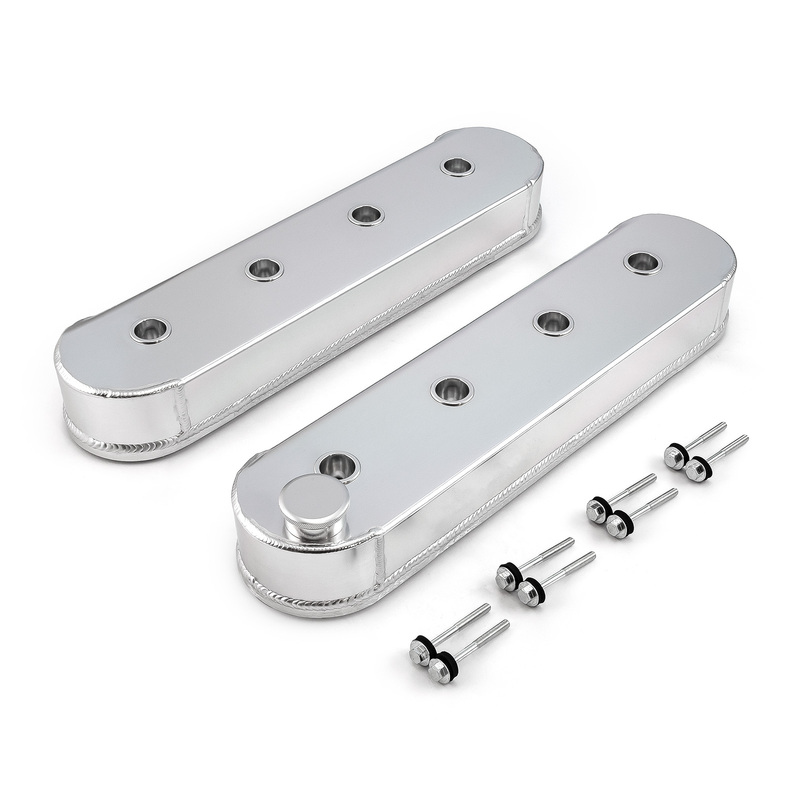 Cover your valvetrain with a set of Procomp Electronics fabricated aluminum valve covers. They feature lightweight construction with a thick rail for gasket support. These valve covers are TIG-welded and are manufactured to help eliminate distortion and ensure a perfect fit to help protect your valve covers and rocker arms. They are available in different finishes to customize the look of your engine bay. If you don't want any breather holes drilled, no problem--they are offered with breather holes or without any holes. Procomp Electronics aluminum valve covers are the perfect fit for your engine.